A welcome at the Bagdogra/New Jalpaiguri, followed by drive to Kalimpong. The city situated in the eastern Himalayan region is famous for its Nurseries and Orchids. Arrival and transfer to the hotel. The rest of the day can be spent by enjoying the scenic beauty of the city, at leisure. Overnight stay at the hotel. Sightseeing tour around Kalimpong is arranged in the morning including visits to Zong Dog Palri Fo - Brong Monastery, Flower nurseries and orchids, and Durpin Dhara. Transfer to Gangtok in the afternoon. The city is the capital of Sikkim and is at altitude of 550 feet. The city is well known for its spotlessly clean environment, monasteries and picturesque scenery. Transfer to hotel in the evening followed by an overnight stay. A sightseeing tour including visits to Institue of Tibetology (closed on Sunday), Institute of Handicrafts and handlooms(closed on Sunday), Chortan and Stupa. This will be followed by a visit to the Dharma Chakra Centre and Rumtek Monastery in the afternoon. 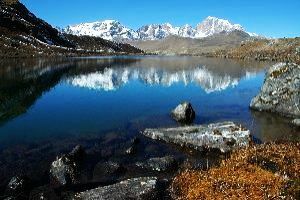 A 2hr journey to the 1 Km long and 15m deep consecrated Tsamgo or Changu Lake. The oval shape lake located at a height of 12,400 feet is revered by the locals. 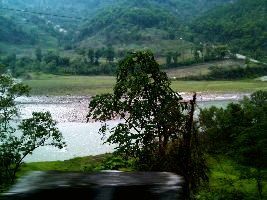 In the Bhutia language the name literally means source of the lake . This lake is only 5km away from the Indo - China border. Return to Gangtok in the afternoon for shopping followed by an overnight stay at the hotel. The most mystic view of the Great Himalaya can be captured from the Queen of the Hills: Darjeeling. 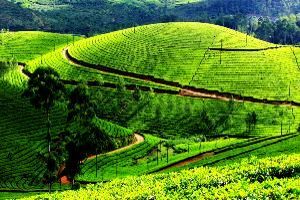 This city is famous for its tea which is revered by connoisseurs from all around the world and hence it is also known as the Tea Capital of the World . It is a paradise for the nature lovers and trekkers.Transfer to the hotel at arrival followed by a day of relaxation. Overnight stay at the hotel. An early morning (0300hrs) drive to Tiger Hills to fully capture the beauty of the sunrise and the effect of the sun rays on Mt. Kanchendzonga(3rd highest peak of the World). A visit to the War Memorial - Batishia loop and Ghoom monastery, on return from Tiger Hills. This is followed by a visits to the Himalayan Mountaineering Institute (Closed on Thursday), Padmaja N. Zoological Garden (Closed on Thursday) and Tibetian Refugee Self - help Centre (Closed on Sunday). A visit to the local market and mall for shopping is also in store. Overnight stay at the hotel. Transfer to Bagdogra airport or Jalpaiguri Railway station in the morning for departure.